Dental implants can actually help stimulate the jawbone. When teeth are missing, the jawbone can begin to deteriorate and becomes weaker. This is why it is essential to replace missing teeth in a timely manner. In fact, dental implants are the only tooth replacement option that can actually stimulate jawbone growth and preserve your facial structure. Dental implants cannot decay or get cavities. This is because they are made from a variety of different artificial tooth materials. Although they cannot grow or decay, it is still essential to maintain excellent oral hygiene. This can help the implant last longer. 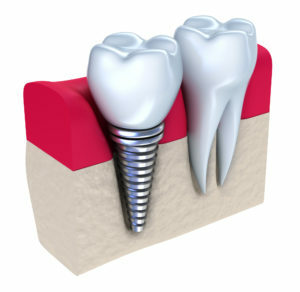 Dental implants are the most predictable option when it comes to replacing one or many missing teeth. In essence, this means that they are highly successful for the majority of patients. In fact, dental implants have a 98% success rate overall. There’s no doubt that dental implants are changing the dental world. To learn more from an oral surgeon in Coral Springs Florida, contact Wisdom Dental. 5064 Annunciation Circle Suite 101 Ave.
© 2018, Ave Maria Dentistry. All Rights Reserved.